Upsall Hall, in the foreground, was built around 1873 for John George Swan, a Teesside ironmaster. 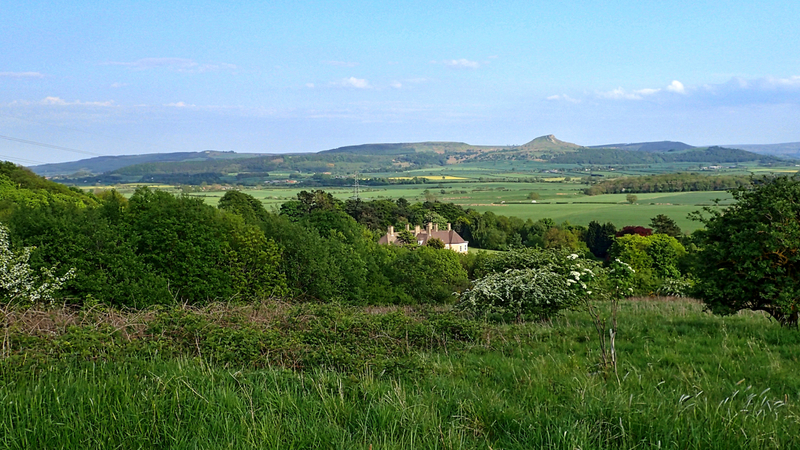 It has superb views south to Roseberry across Morton Carrs. From the 1960s the Grade II listed building was used as a day centre for people with learning disabilities but has now been sold reverting to a family home. The name Morton Carrs indicates the natural geography of the flatlands to Roseberry. Carrs being derived from the Old Scandinavian word kjarr for a marsh or wetland.